Platinum Games had a year of wild ups and downs. Back in December of 2011, Hideki Kamiya and Atsushi Inaba’s studio was surging after news came out that Platinum had taken over development of Metal Gear Rising: Revengeance. By the middle of 2012, though, it had seen one project cancelled with the Sega-published version of Bayonetta 2 and another delayed indefinitely in Anarchy Reigns. Now it’s come full circle, with two new games in the works for Nintendo, Anarchy Reigns scheduled for January, and a February release for Metal Gear. The studio’s in good shape for the future too, as Konami is already discussing working with the studio again. 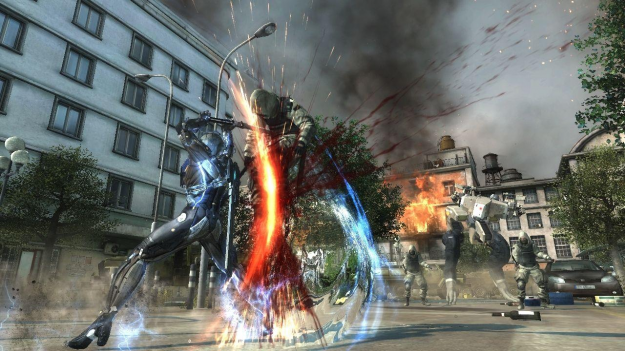 Following the release of Metal Gear Rising, Platinum Games will release its first projects for Nintendo’s Wii U including Bayonetta 2 and The Wonderful 101. Given their experience with the platform, is Konami interested in having Platinum port Rising to Nintendo’s new console? Publishers like Ubisoft, Namco, Tecmo Koei, Electronic Arts, and Activision have all ported PS3/Xbox 360 games like Rising to the platform already. For now, Konami plans to skip Wii U. Digital Trends sat down with both Korekado and Platinum’s Atsushi Inaba during its recent preview of Metal Gear Rising: Revengeance. You can read that interview right here.